*The court is closed from 4:00PM to 5:00PM on the first Wednesday of every month for a team meeting. 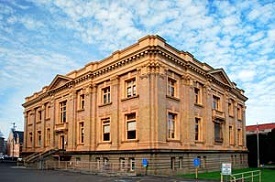 The court is housed in an historic courthouse which was built in 1908 and was later added to the National Register of Historic Places. Astoria was the first permanent United States settlement on the Pacific coast and is historically significant for operating the first U.S. post office west of the Rocky Mountains.